November is Financial Literacy Month. Each week, we’re offering advice to help you make wise insurance decisions. 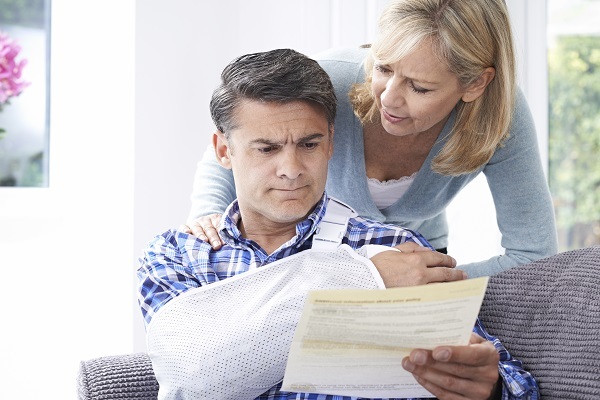 This week, we look at insurance coverage that protects you if you are suddenly unable to work. Disability insurance and critical illness insurance are the most neglected forms of coverage. Most people will readily purchase life insurance to protect their loved ones in the event of the policyholder’s untimely death. But where would your family be if a sudden accident or serious illness renders you unable to work? Let’s look at why disability insurance and critical insurance should be considered as part of your family financial plan. One can become disabled as a result of an accident, a serious illness or a mental health problem. On average, a serious disability can last about two and a half years. Can your family afford to live that long without your income? Disability Insurance payments continue for as long as you are unable to work - and end when you are well enough to return to the workforce. So you can focus on regaining your strength and abilities without worrying about your benefits ending. Disability insurance policies can be customized with a choice of payment options, waiting periods, benefit periods and monthly benefit amounts. You can also add riders to accommodate specific needs such as a cost-of-living rider to make sure your benefits keep up with inflation. A critical illness is a life-threatening condition such as heart disease, cancer, stroke, multiple sclerosis (MS), Alzheimer’s Disease, paralysis, major organ failure, and Parkinson’s Disease. Every year thousands of Canadians are stricken with some form of critical illness. Thankfully many survive and recover, but that takes time - and money. Critical illness insurance fills the gap between disability insurance and life insurance. It is a lifeline that can help you and your family manage the costs of treatment, recovery and general ongoing expenses such as mortgage payments. As you can see disability insurance and critical illness insurance, along with life insurance, can complete your family safety net – alleviating financial hardship during life’s most challenging and difficult times. Talk to your insurance broker today about ensuring the right coverage for you and your loved ones.